Cycle Parking should be Eazy Peazy. Parking a bike should be eazy peazy. But as every cyclist knows – not always. 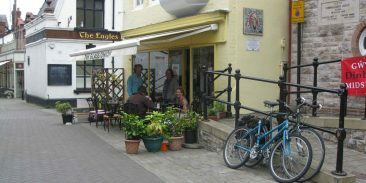 But if you own a cafe tucked out of the way and decide to park your bike prominently in a high street attaching a sign letting everyone know where you are, it’s not as straight forward as you might think.. So it is in the town of Denbigh . 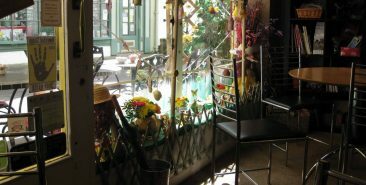 The Glass Onion Cafe is a delightfully intimate eating place located in a side street in this bustling market town. Nestling in the Vale of Clwyd, it has a rich history and claims to have the highest number of listed buildings in Wales. 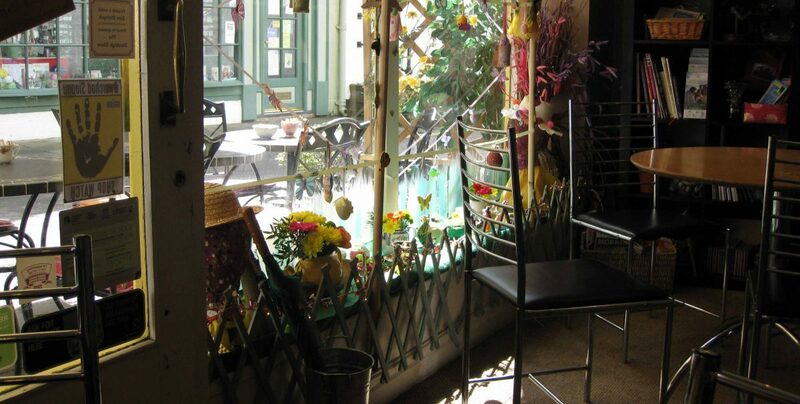 The Glass Onion lies in one of its most intriguing backwaters off the town square. Unfortunately many a traveller can overlook its existence, tucked away as it is. A sign of good things to be eaten. The lady owner decided she had the remedy. Being keen on cycling she parked her bike on the town square and thereon attached a directional sign. 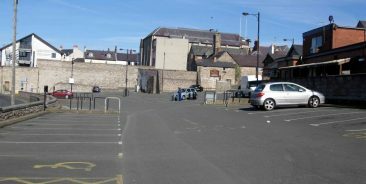 Being a Conservation Zone she soon attracted the attention of the council who ordered her to remove the said offending item, pointing out that the erecting of advertising was contrary to planning regulations. Being a feisty lass she refused to budge. After all, a century ago her kind were fighting for the right of women to have a say in the running of the country. She pointed out that advertising was to be seen everywhere. Not least on many vans, both moving and parked. What’s the difference having a bike bearing an advert? With her unyielding and fighting for her right to a level playing field for the town’s catering business, a quiet shift of tactics took place in the council ranks. In the position where she parked a CYCLE PARKING sign appeared. And very nice too. Heritage-friendly style. Unobtrusive – as all signs should be in such surroundings. It is reassuring that common sense has prevailed on the part of the council. 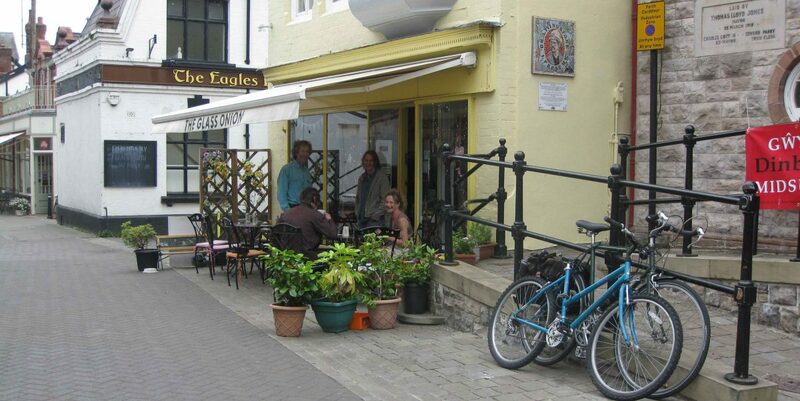 We trust the Glass Onion continues to have a level playing field in a town rich in places to eat and relax.. That said, both Denbigh and the public are not getting a fair crack of the whip as far as cycling is concerned. Given its exquisite rural location it should be bursting with cycling all the year round with visitors and locals alike. It is not. The town is not being well served by its steersmen and women.